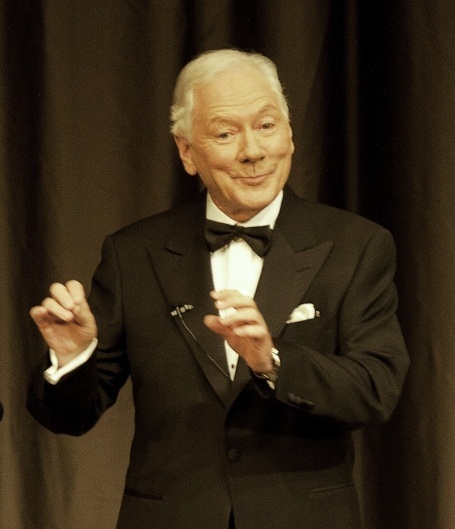 This is Irish TV Personality & Legend, Mr Gay Byrne, giving a spoof Christmas Cake Recipe where he gets to tasting the whiskey (that's supposed to be for the cake) just a little too much! Gay, affectionately known as Gaybo, is one of the most famous Irish TV personalities and one of the founding fathers of modern Irish television journalism. He hosted and produced the RTE Late Late Show, which has broadcast every Friday night since it's first show in 1962 until he retired in 1999! The Late Late Show is Ireland's most popular and prestigious television show and is also the longest running chat show in the world. Gay sometimes tells a story about him making a Christmas Cake, where he follow a recipe and as he cooks it he makes regular tasting checks on the quality of the whiskey, with humorous results! I pasted Gay's face into a Santa Claus suit and used a little bit of PhotoShop to make this wee animation to go along with the story. It's the best I could do in an hour but I had a laugh myself at the finished film clip!